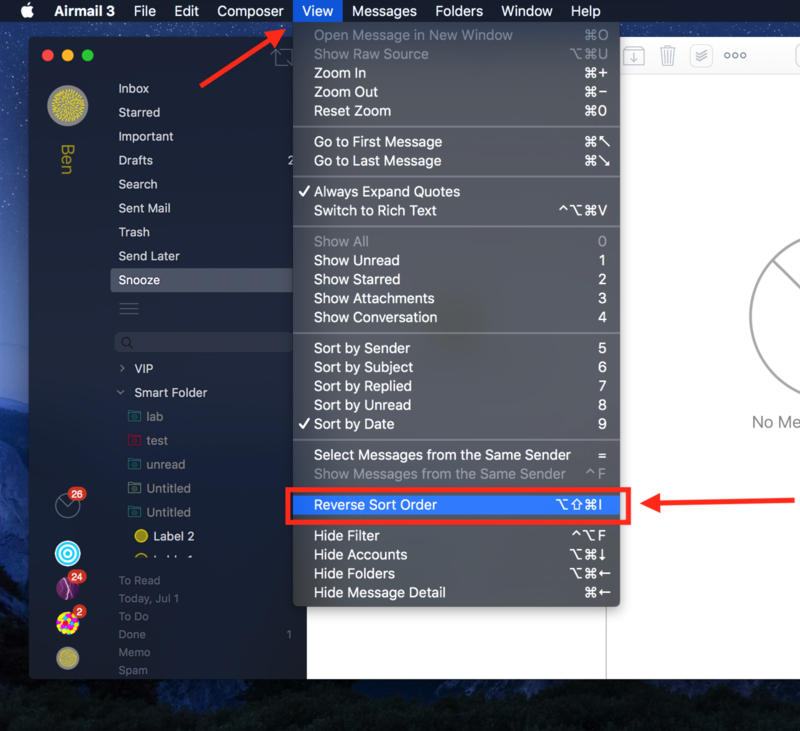 In Airmail you can use the oldest message on top and the newest message at the bottom. If you are . order your mails and you can also archive them if you don’t wish to keep them in the Inbox. The option to reverse sort order is located under Window in the Menu Title/Bar. Choosing this option may also rewrite the new database for Airmail but will not affect Web Mail.